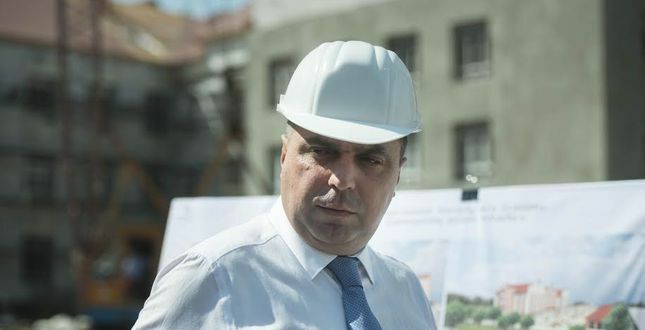 City authorities are planning to put into operation several social infrastructure projects, which are being funded by the city budget, by the end of the year, Deputy Head of Kyiv City State Administration Oleksandr Spasybko stated during an inspection of facilities that needed renovation and construction. During the inspection with journalists, he checked the operational readiness of a kindergarten, a social service center and an upgraded cycle track. Read alsoOlympic photo expo opens at Kyiv underground station (Photos)"Work on the reconstruction and construction of these facilities is being carried out by construction company Zhytloinvestbud-UKB, that is why it involves inspection of the company's work as a whole," he said. Spasybko inspected the kindergarten on Vyshniakivska Street in Darnytsia district, the territorial center of social service for pensioners, the center of early rehabilitation of children with disabilities and the restoration work of the Kyiv cycle track.